The names of three filmmakers who will be featured in retrospectives during the 2019 New Horizons IFF have been released. The 19th festival edition will screen films by ironic moralist Albert Serra, the director of the famed Death of Louis XIV, and works by Shūji Terayama, a Japanese director who is not well-known in Poland, but is an innovator whose works have been deemed scandalous and subversive, though he has also been awarded at Cannes for a Death in the Country. There will also be films by Olivier Assayas (director of Sils Maria), who formed his own sub-genre that does not fit into the mainstream, art-house cinema or any attempts at simple classification. Passes go on sale on December 5, 2018, for the 19th New Horizons International Film Festival. Albert Serra is one of the most expressive slow cinema directors. Weaving smoothly between cinema and the visual arts, the director and artist, says, "I am a radical Catalan, a Spaniard from the depths of my heart and a soldier of Old Europe." Serra, a provocative minimalist, challenges the audience by creating films that drown in the darkness, in the literal and metaphoric screen chiaroscuro, in his stories about the world's moral collapse. Serra reaches most often for cultural texts, revives the mythical past by reducing historical events to eccentric anecdotes and throwing legendary figures into the vortex of mundane daily chores. After the anti-adaptation of Cervantes's Don Quixote (Honor of the Knights, 2006), making a biblical parable about the Three Kings (Birdsong, 2008), he filmed an eighteenth-century dispute between rationalism and romanticism in the form of an encounter between Casanova and Dracula in the Story of My Death (2013), and then exposed absurdity of the Versailles court in a chronicle of the slow agony of the Sun King in the Death of Louis XIV. Motifs of stillness, expectation and boredom make up the Catalan's visual language. Serra is an ironic moralist, portraying and parodying the pillars of European civilization, showing that the king is not only naked, but also quite dead, pleasure does not exist without perversion, and true freedom can only be found in the violation of norms. 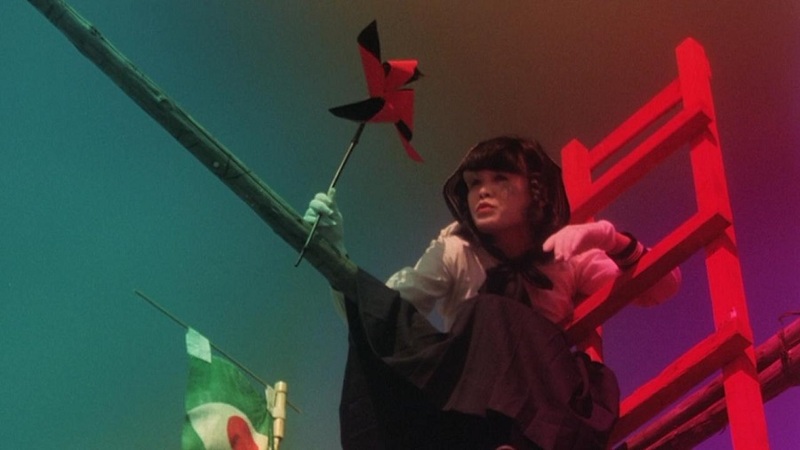 An important event of the 19th New Horizons festival will be Poland's first retrospective of works by Shūji Terayama (1935-1983), one of the most prominent avant-garde reformers of Japanese cinema and theater. He became an unrivaled intellectual, nonconformist and unyielding fanatic, as well as an artist who was deemed scandalous and subversive, an enfant terrible, who managed to revise his native tradition. Famous internationally primarily as the founder of the legendary alternative Tenjō Sajiki theater, he directed a series of films with strong autobiographical themes, including a counter-cultural manifesto based on the collage method Throw Away Your Books, Rally in the Streets, or Death in the Country, which critics compared and contrasted to Federico Fellini's Eight and a Half, and near the end of his life to create his own version of Marquez's One Hundred Years of Solitude in Farewell to the Ark, where Macondo culture permeates Japanese myths and beliefs. As a total artist, Terayama not only mixed different genres and conventions, but combined the cinema with theater, destroying the "fourth wall" between the viewer and the artist. In addition to the director's five most representative feature films, the retrospective will include his experimental short films, where the boundary between truth and fiction is completely blurred. The festival will welcome a special guest, Henriku Morisaki-Terayama, former actor of Tenjō Sajiki, the artist's half-brother and one of the heirs of his work. The section's curator is Nikodem Karolak. The third director of the 2019 NH retrospectives has not yet managed to win any of cinema's biggest trophies, although five of his films have screened in-competition at Cannes and two in Venice. This situation is an excellent metaphor for the vague status of Olivier Assayas in European cinema, as a director who comports neither with the mainstream with which he flirts, nor the art-house tradition upon which he draws. This French director has followed his own path from the early stages of his career (begun as one of the authors of "Cahiers du Cinéma"). That's why each new Assayas film surprises with its scale, cast, as well as its stylistic and thematic choices. If one insists on seeking common points in his rich and genre-defying oeuvre (in which you'll find a thriller and a musical documentary, a series, and a bourgeois drama), you might look to the intimate, inner world of the characters in which the ethical and spiritual dilemmas of the West focus like sunlight through a magnifying glass (Personal Shopper asked about faith, Doubles Vies about the impact of technology on relationships). An important - and perhaps the most important - character in his films is youth: fragile, lost, unaware that in these few moments of fun or bravado, the whole future will be decided (Something in the Air, Winter's Child, Cold Water). He is an auteur who also does not eschew genre schemes. His films may be vehicles for stars, but in a perverse way. He honors the masters without paying them blind homage (Assayas is the co-author of a book interview with Bergman and a film about Hou Hsiao Hsien). Assayas's cinema is a public form of daily of private obsessions and fascinations, which are also the fascinations and obsessions of today's Europe. New Horizons will feature over a dozen of the director's works, including rarely shown films from the 1980s and 1990s.